Wall Systems: Find your Perfect Match! Interiors are increasingly becoming a reflection of who we are as individuals. More and more people are seeking to show their creativity and express their individuality through their interior choices – and that’s exactly what it should be like – your home should be entirely your own space. Given the limited square footage of properties on our little island, storage takes on an even more important role in any space as we strive to keep a clutter-free, streamlined and coordinated look, and yet storage should be sturdy and functional enough to hold as much or as little as we need. But that’s not all it should do. For any storage system to look refreshed and exciting – be it a media unit, a sideboard, display cabinet, a wall-to-wall library or free-standing shelving – it should also showcase your personality. 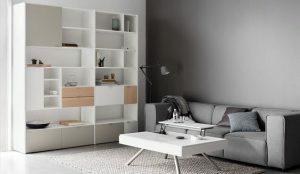 As one of the leading furniture stores in Malta, we’ve put together a brief guide to finding a perfect wall systems match for various personality traits. If your thirst for knowledge can’t be satisfied by a device in your pocket and you need to feel paper on your fingers, then a modern, open, wall mounted solution that turns your wall into an elegant frame for the things you love is exactly what you need. Books make any space homely and unique – no one has the same collection as you and your titles give visitors an eye into your values, passions and interests. Think how you use your books and consider how big your collection is. Arrange by size or colour, by author or genre, or use no system at all! 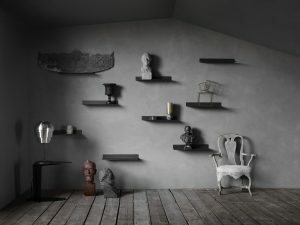 Store vertically or horizontally, leave some shelves empty or assign them to artworks, ceramics or plants. Letting leaves grow beyond their shelves is also pretty. Consider your natural light source if you have one, as direct sunlight can fade your book covers. Add a welcoming chair and a soft light to create your little reading nook. The magic of this storage type lies in the contrast – the uniformity of the storage unit versus natural styling. To create spontaneity in a symmetrical unit, add tall and draping plants and work with a mixture of materials and tones. Mix your woods – on your unit, flooring and accessories – to intensify the warmth and add an organic feel. Strike a visual balance through space and light. If you feel that privacy is not an outdated notion and sharing your meal, your vacation and your family snaps on social media is not your cup of tea, then a concealed, modular storage system in a dark palette is what you need. A dark palette can still be expressive – through dark tones, you can create intimacy, luxury and a warm atmosphere. Avoid using one solid colour, and play with contrasts, tonal gradients and textures such as marble and concrete. Have only a few items on display – allow focal points to draw the eye, such as light grey ceramics or concrete accessories. If you appreciate efficiency and completed to-do lists, then a systematic storage unit is what you need. 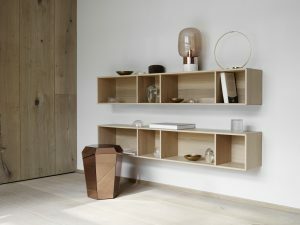 This type of storage is minimalist and has Danish, functional design at its core. Go for a sleek look in oak, or some minimal metal shelves for instant accessibility. Choose simple pieces in your unit to blend into your space, and have functional pieces displayed such as dinnerware, for easy, quick access. Experiment with asymmetry to balance the orderliness of this systematic look. Play with light – such as a gloss floor, reflecting the soft matte of a white wall. You love the freedom of not having to choose between minimalist, industrial or Scandinavian styles because you love all three. You love the way these three can be seamlessly combined. You enjoy learning, and you love going your own way. Go for a bookcase in a timeless colour that can be hung vertically or horizontally, and hang more than one together. 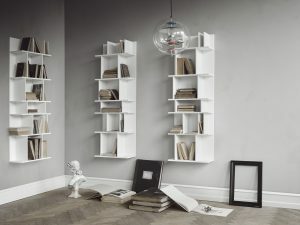 Leave space – you don’t need to fill every space in your bookcase. Put emphasis on your carefully-selected collectibles. Give a chic expression by adding a few reflective and translucent surfaces such as mirrors, brass and coloured glass. 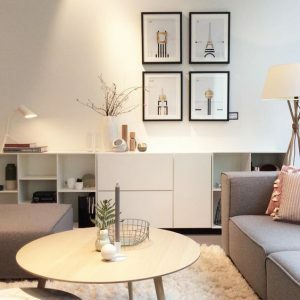 Add colour but create cohesion by dispersing hues across the room – for example picking a tone from the rug and extending it onto a hanging art piece. You like a mix of old and new. When it comes to artistic styles, you like baroque, neoclassical, cubism, and a touch of 21st century Scandinavian. And you feel that art deserves uninterrupted time and a permanent home – yours. When it comes to storage go for a minimal look that gives your items maximum attention. 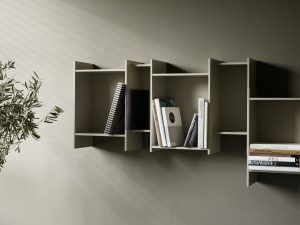 Durable steel shelves ensure strength to display heavy books, a sculpture or plant pots. The home gallery wall can be used for sculptural art and collectible ceramics to add depth to any wall. Don’t cram art pieces or sculptures – give them the space they deserve, free from the shadows of other pieces. 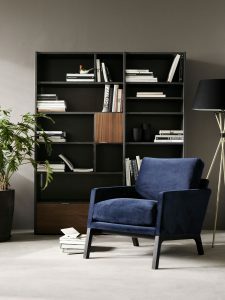 If you have an armchair underneath your gallery shelves, take its size, proximity, colour and style into consideration when arranging your shelves. Mix things up – pair classical with modern and play with asymmetry. 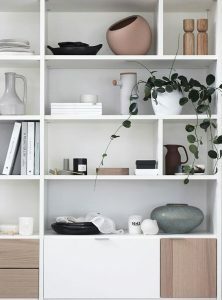 If you live a colourful life but find pleasure in simple elements with little embellishment, brevity of lines, clean silhouettes and stripped palettes, then minimalist storage in matt white with closed compartments is what you need. Seek balance of colour and material and learn how to distinguish between excess and necessity. Clear everything, except the essential furniture, then re-introduce your carefully selected pieces. Use texture as an accent and arrange so that light and shadow add character and detail to your space. Choose smarter furniture – with cleverly integrated storage you can store bedding and out of season clothes in an under-bed compartment or put magazines or remote controls in your sofa’s armrest. If you are torn between restraint and indulgence of an avid collector, then you need a storage match that is functional yet sculptural, with an artistic backdrop for the things you love. And ideally vibrant colours that reflect the passion in your personality. 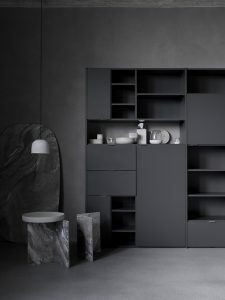 Go for flexible storage solutions that can be mounted in any preferred configuration and in a strong steel; this creates a minimal look for the items stored in them to take centre stage. Balance fresh tones with warm shades – you can go for asymmetry in the wall storage system and a bold, colour-block theme. Experiment with box arrangements to get a personal look and add character to a room. Storing collectibles both in and out of the compartments adds dimension to the room. Tie your look together by using one base tone throughout the room. For example if you are using black boxes as your storage, use black in other pieces such as in a rug or art piece. 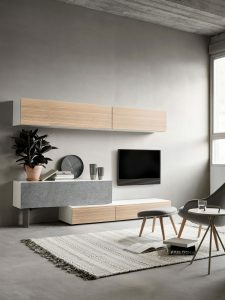 BoConcept: For the most stylish home furnishing Malta has to offer! Whatever your style aesthetic, come over to our showroom in San Gwann and find the right fit for you. Take advantage of our discounts – all wall systems are on sale until the 25th August! Our helpful and experienced staff will be more than willing to help guide you should you need.